I was perusing one of the slightly weirder fabric stores, and found this ruffly fabric on sale. it caught my eye and I grabbed a meter and a half and decided what I would do with it later. At home searching on the Internet and I found that the ruffly fabric is big! 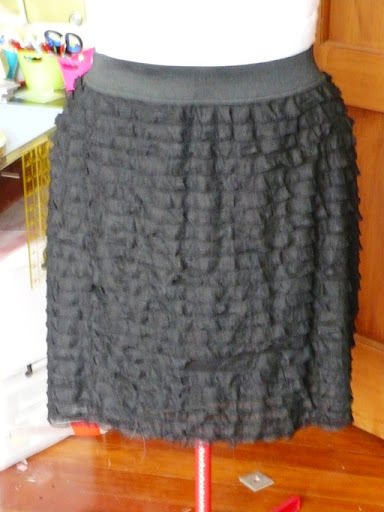 I fond a bunch of ideas, mostly for skirts, and went with this one from v & co blog. I didn't use the same fullness at the waist and hip that she did, as I was concerned that it would make me look huuuuuge. 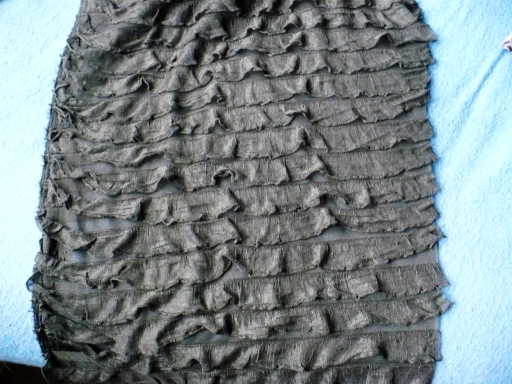 My ruffle fabric seemed to be a bit see through so I lined it with some spare slinky knit I had.